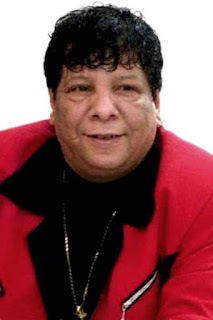 Shaaban Abdel Rahim, a popular Egyptian singer, was born on 15 March 1957 in the Sharabiya neighborhood of Cairo. The capital of Egypt. Full report on the life story of Shaaban Abdel Rahim, biographical information from Wikipedia and the latest news. Date of birth: 15 March 1957. Years of work: 1980 - present. Shaaban Abdel Rahim was born on 15 March 1957 in the Sharabia neighborhood of Cairo. The capital of Egypt. Bassem ", but chose the name" Shaaban "artistic center and even his personal life in relation to his birth in the month of Shaaban. Shaaban Abdul Rahim worked in ironing clothes and sang to his family and friends at weddings, holidays and events before the owner of a cassette shop heard him, and produced a tape for a hundred pounds, so Shaaban flies joy without realizing that they exploit and sell his tapes tens of thousands, Ahmed Helmy Atgouh Aida .. Books book Sheikh Ramadan. They are the names of bus stops in Cairo. "But I did not like the song" I hate Israel ", many sang in Jerusalem, but did not dare singer to exposure to" Israel "this direct, the song inspired by the events of the intifada The Palestinian CNN network accused Abdel Rahim of inciting anti-normalization with Israel, while many considered it an expression of the pulse of the Egyptian and Arab streets. The Associated Press quoted Kenneth Bandler, a spokesman for the committee, American Jewry as saying N is a "patron of hatred." It is known that Shaaban Abdel Rahim that he does not care about his appearance because he sees that "a man, and the man does not harm his form," but most intellectuals and critics criticize him as it drops the public taste. Shaaban Abdul Rahim starred in the film "Falah in Congress" and participated in the acting Abeer Sabri, Nashwa Mustafa, and Ala Morsi, and then acted in the film "Citizen, Detective and Criminal", and represented by Salah Abdullah, Khaled Abu Naga and Hind Sabri.